Sleeping should be a rejuvenating experience, you should awake excited to face the day ahead. However, waking up with a sore back can dampen your spirits before the day has even begun. This article will examine some techniques that should stop your first waking experience from being back pain. Before we can discuss the best ways of stopping back pain after sleeping, we should first examine why back pain occurs. Some sleeping positions place additionally strain onto your neck, shoulders and back. Being exposed to this strain for long hours can result in pain. 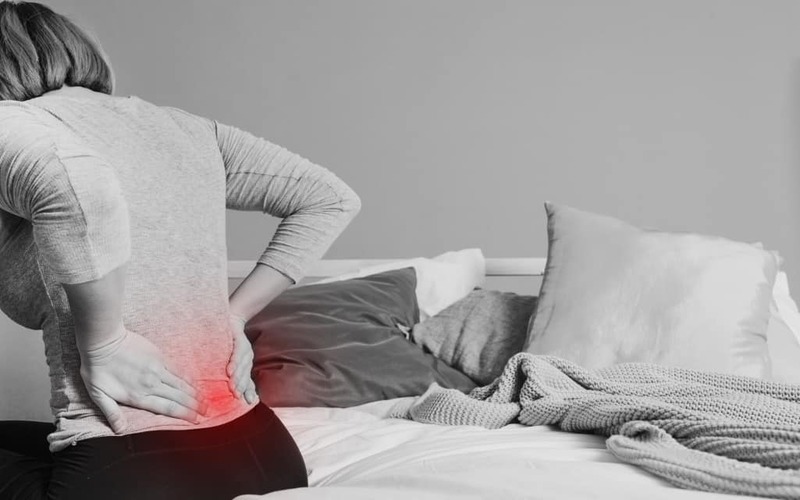 Now that we understand why you might experience back pain after sleeping, we can look at some ways of preventing this pain from occurring. One of the most effective methods of preventing back pain, is also one of the most inexpensive. This method aims to correct your posture while you sleep, relieving the pressure on your spine and removing, or reducing, the amount of pain you experience upon waking. If you sleep on your back, placing a pillow beneath your knees can help bring your spine into alignment. If you sleep on your side, placing a pillow between your knees can also help remove the pressure. Finally, if you sleep on your stomach, you can place a pillow beneath your lower abdomen to help ease the strain on your spine. Doing these methods should help prevent the underlying cause of back pain, pressure on the spinal cord. Another tip that you might use to eliminate back pain after sleeping is to purchase a new mattress. Your mattress may be contributing to your back pain if it doesn’t provide adequate spinal support. If this is the case, a new mattress that offers better support might provide you with a more comfortable night sleep and help reduce the amount of back pain you have when you wake up. A memory foam mattress might be best for people who suffer back pain, as the material moulds to your body, offering more support than an ordinary mattress. If you live in a small space and might struggle to take a mattress into the bedroom a handy foldable mattress can help solve this problem. Mattresses like this allow you to fold them over, making them easier to carry up stairs and fit through tight doorways. Another suggestion is to break-up the night, waking up each night to do a few stretches before settling back down to go sleep. To do this set an alarm for about halfway through the night. Then, wake up and perform some gentle stretches to relieve the pressure on your back. If you leave the light off and avoid any vigorous exercises you should be able to get back to sleep again. Additionally, this method can stop you from spending hours in a position that is bad for your back. Another great way of reducing the amount of back pain you feel when you wake up is changing your pillow. Pillows can help control how much support your neck and shoulders get while sleeping. If you are experiencing pain in these areas it is possible that your pillow isn’t providing adequate support. Thankfully, you can solve this problem easily, by purchasing a new pillow. When buying a pillow look for comfort and try to get one that will best support your sleeping style. For example, people who prefer to sleep on their backs might be best served by a medium-fill pillow. Alternatively, people who prefer to sleep on their stomach might be best with a contour pillow. Side sleepers might prefer a body pillow, as they can hug it to themselves to help reduce the amount of shoulder pain experienced. This article has discussed some great tips and techniques to help people better deal with back pain after sleeping. We looked at a variety of techniques that you can employ to stop, or reduce, the pain experienced. These methods included; using pillows to provide additionally back support, purchasing a new handy foldable mattress, breaking up the night with stretches to relieve the pressure on your back and purchasing a new pillow that better supports your sleeping style. It should be noted that these tips aren’t mutually exclusive, and you can use a mix of them to help decrease your pain. However, for serious, chronic back pain it might be a good idea to consult with a doctor or chiropractor as this may be an indication of more serious underlying problems.